We write this email with sincere appreciation and gratitude of your services that you have given us over the past few months, whilst dealing with Riviera Marine. “So proud and happy that we have now joined Riviera”. You have made every email, phone call and conversation an absolute pleasure and your expertise, professionalism and marine knowledge are above and beyond anyone else with whom we have dealt. 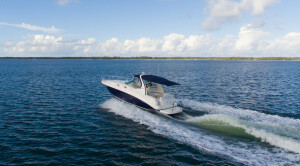 We have been blown away at the extras to which you have shown; from dropping contracts to our door, watching the weather for us so that our boat could be moved to our marina (to which you did, knowing we were committed elsewhere) and then with wild weather predicted, to return to our marina to get the storm cover on for us,. We are truly grateful and surprised at the level of service that you have provided, even with your broken foot!. We would do as you have done but in these current times, it is a rarity that we ever deal with such professionalism that is five star. Thank you! 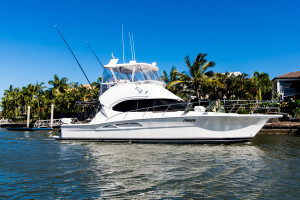 We look forward to being out on the water in our Riv and enjoying with peace of mind, that we have certainly invested in the right place, with the right boat and with the right people. 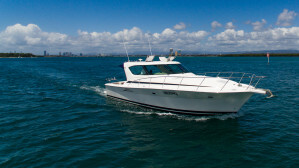 My name is Reg and my wife Vicki and I have just purchased a 4800 Riviera Sports Yacht – Carpe Diem. during our learning process. We cannot speak highly enough of his personal, professional manner, or attitude in the way he treated us from day one. for their professional attitude and quality service. Randall, as you are aware the sale of my boat occurred today. 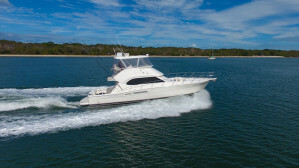 I would like make a few comments about the experience especially given you personally sold me the boat new and it has been a 10 year experience with Riviera and in particular R Marine Jones. Firstly I should say the purchase experience was excellent and we have continued to be in contact. 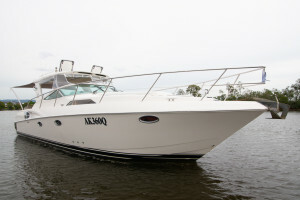 I was recently thinking about selling my boat and I have a little interest in hearing about your new 39. Coincidentally I received a call from Sam Phillips at R Marine Jones enquiring if I was interested to sell as he had a prospective purchaser who was particularly looking to acquire my model. From that moment on Sam just made everything happen for both myself and the prospective purchaser. He maintained a position of getting the best outcome for both parties which was clearly demonstrated thro his continuous suggestions and communications. 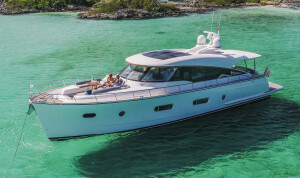 He took control of the whole process including the initial inspection and report, the repairs and upgrade quotation and implementation and finally the sea trial. As you know the sale occurred and the transaction is finalised. I have not spoken or met the purchaser but I would be confident he would express the same level of satisfaction for the whole process. It has been an example of total professionalism that has ultimately resulted in a ‘ win/win’ for all concerned. Finally , Sam who I understand has been with you since even before leaving school is a credit to your organisation and a great example of the principle of “home grown”. Hi Randall, I couldn’t help but write and give you some feedback on my dealings with Sam on the purchase of Wall St. After dealing with Sam Phillips over the last few months I cannot express enough my gratitude towards the way in which he handled the negotiations. I’m absolutely blown away by the service, nothing was ever too much trouble and he organised everything on my behalf. 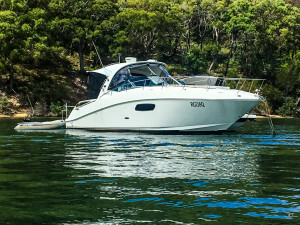 As a nervous first time boat owner it would have been much easier to purchase a boat in Sydney but he made it so easy and sold me a boat I wasn’t even looking for which now my family will absolutely love (until we upgrade through you guys ofcourse). Congratulations on running such a professional show and look forward to future dealings. Thanks again Sam, honestly can’t thank you enough. Hi Troy, (You have two new friends forever) . . .
Beverley and I would like to thank you for everything to do with this exchange of boats. You have shown enormous understanding and thoughtfulness in the face of unnecessary criticism and doubt when all along the way you have been totally honest and consistent with no pressure when we had some misgivings on whether to continue the exchange. Just a quick note to let you know that all went well with the purchase of the 345 Conquest and I’m excited to see it tomorrow. On an extremely positive note, please know that Sam Phillips has been absolutely terrific. His attention to detail, timely communication and proactive approach has been all aces. He made the entire transaction smooth and unlike many salespeople, has been even more attentive after the sale was finished. Double thumbs up!!! 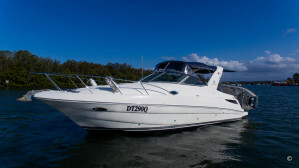 We would like to compliment Steve and all of your staff on the fantastic experience we have had with the purchase of our new boat. Steve’s attention to detail is second to none and he has always made himself available to reassure us about any concerns throughout the construction, finishing and delivery.He was always extremely helpful when we had our 36IPS and it was a great introduction to the ownership experience with Riviera. We have no doubt that we’ll continue to learn as we hope to participate in as many events from your calendar as possible. 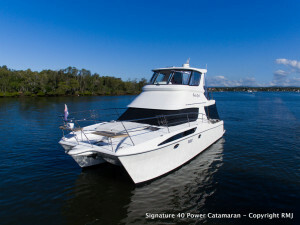 We took some of our family out yesterday for a few hours and we were pleasantly surprised at how easy it was to handle even in the windy and tidal conditions on our return to the yacht club.We are delighted with the finished product in every respect and we are looking forward to many years of enjoyable boating. We hope you have a great time this weekend and we were sorry to miss your open day. Once again our thanks to you all. 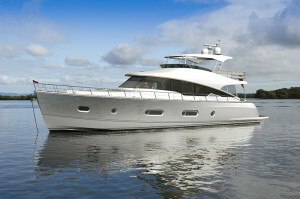 The R Marine Jones team has once again performed and delivered above expectation. 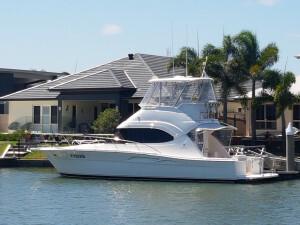 My boat had a very unfortunate experience in Bundaberg and your team and Club Marine has turned my bad experiences into a positive result. Both Ben and Sharm were totally committed and kept me up to date with the boats progress……and the attention to detail was amazing. My sincere appreciation to you, your team and the Riviera Company. 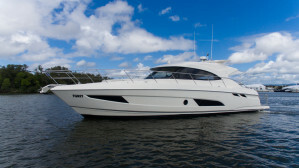 I have recently purchased a Sea Ray 275 from your dealership through Sam Phillips. I would like to take this opportunity to mention my experience with dealing with Sam. 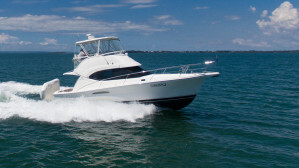 I have purchased many boats over the years from as many dealerships and I have not had the level of service that I have experienced in dealing with Sam. 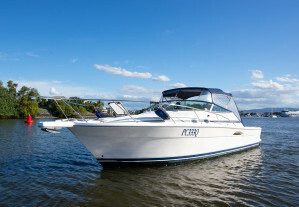 He has treated me with utmost respect at all times, has kept me up to date with progress on the purchase of this boat and has treated me as if I had just purchased a Riviera 75. 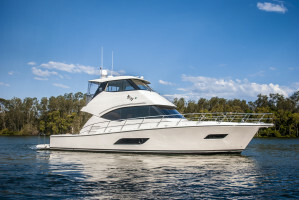 I understand that this purchase was at the bottom of the range of boats that your dealership deals with but Sam gave me the same level of service as if I had purchased a 7 million dollar vessel ! Sam is a great employee to have Randall and as a business owner myself employing some 25 odd staff I know how hard it is to find staff like Sam. I can only see great things happening for Sam in your dealership and it would not surprise me to see Sam becoming your top sales person in a very short time. 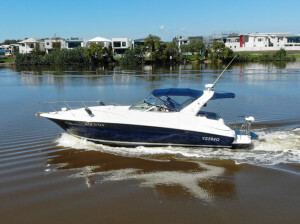 I wish you and Sam and all your staff the very best in the future and I will definitely return when the time is right to purchase another boat. I am not one to write these sorts of letters, however all too often people are very willing to complain regarding service or experience so thought I’d take the time to do the opposite. 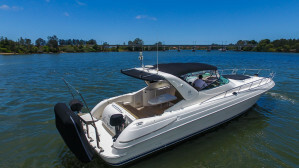 Albeit we had the smallest boat in the Rivera range, I just wanted to send you a quick message to say a sincere thank you for making our boating experience, from the day we purchased our boat to the day you sold it for us, amazing. In particular we would like to say Steve McPherson was outstanding. 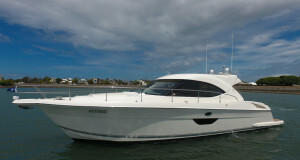 His professionalism and willingness post sale to be of assistance was overwhelming added to the whole Riviera experience. We’ll be back to see you for our next Riv (with a few extra ft) when we return to Australia.